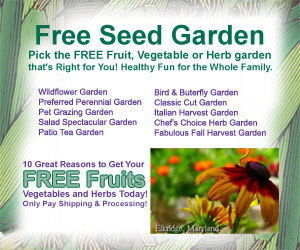 Free Seed Garden – you choose your own fruit vegitable or herb garden. Pick from 10 different seeds to grow your own garden. Pay only shipping and handling for your free seeds.